Many home or business owners don’t give much thought to how their HVAC system is running…when it’s working. But when the need for AC repair strikes, it becomes a priority. The professional team at Air Tech understands that a broken air conditioner, whether at your vacation home or in a commercial setting, can not only cause discomfort and bring daily activities to a standstill, but can also pose a safety risk. When you need AC repair in Pt. Pleasant Beach, NJ, turn to Air Tech. As a locally owned and operated business, we’re proud to have served the Pt. Pleasant Beach, NJ area since 1999. We have a reputation for a quick turnaround time and getting the job done right the first time. Unlike other companies who may have you wait around, sweating it out, we treat each of our customers like family. Our work ethic is derived from fair, honest dependable and reliable service. Hot summers and high humidity means your air conditioner is putting in a lot of work. Imagine coming home from a hot day at the Jenkinson’s boardwalk only to find out your air conditioner has stopped working. Or maybe you’re renting out your vacation home and the tenant calls you frantically about hot air coming through the vents. We can empathize. When you need AC repair in Point Pleasant Beach, NJ, you need it fast. Call the professionals at Air Tech; we have solutions residents and businesses can trust. And we always answer the phone. 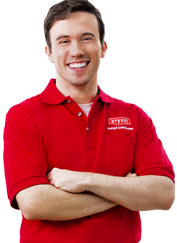 At Air Tech, our skilled NATE-Certified AC technicians have decades of experience. They are not only NATE- and EPA-certified but also equipped to handle all repair jobs, big or small. We offer comprehensive air conditioning repair services, from quick, simple fixes to middle-of-the-night emergency repairs, with as little disruption to your lives as possible. When your air conditioner stops working, you want answers…and you want them fast. Since Air Tech has been in the HVAC business for decades, we’ve seen and heard it all. Here are some of the common questions our team of air conditioning repair technicians in Point Pleasant, NJ hears pretty regularly. What are some common air conditioning problems? Condenser problems- The condenser is designed to cool the air. If it’s not functioning, the AC unit will just circulate warm air throughout the space. Inadequate cooling- If the unit starts to lose efficiency, this could be from something as simple as a dusty filter, or as complex as a malfunctioning condenser. No connection- If the unit doesn’t turn on at all, it’s likely that the connection is faulty. It could also be a problem with the thermostat. Cycling- If you notice the air conditioner shuts off and switches on frequently, this is called cycling and could be due to a clogged air filter or possibly frozen evaporator coils. Your best bet is to call the professionals at Air Tech at 609-246-5905 to diagnose the problem properly. Age: If your AC is older than 10 years old, a newer, more efficient replacement could end up saving you money. Utility Bills: If you notice energy bills rising summer over summer, your AC might be wearing out and losing efficiency. Leaks: R-22 is not only getting more expensive, it’s being discontinued. The EPA has restricted R-22 due to ozone concerns and is shifting to the more environmentally-friendly (and efficient) R-410A. If multiplying the price of your AC repair by the age of your unit is MORE than the cost of a new AC, then it’s okay to replace your AC. What can I do to prevent repairs? The best way to keep cool and avoid costly repairs is to stay on top of your air conditioner upkeep. There are a few things you can do to ensure everything is operating correctly and prevent repairs. Keep the area around your air conditioner clear of brush and debris. Change or clean the air filter regularly to help its efficiency. Keep up with air conditioner maintenance so the experts can check that everything is working efficiently and identify any potential malfunctions. Why does my air conditioner freeze in the summer? Watch out for a couple common symptoms that could indicate you have a frozen air conditioner in need of repair. If you notice warm air coming out of your registers while your air conditioner is turned on, or see water leaking or pooling under your air conditioner, you could be dealing with a frozen AC. When your air conditioner is frozen, it’s most likely from a refrigerant leak or a blockage of airflow. Either way contact the Air Tech experts to determine the root cause and get your home back to cool and comfortable as soon as possible. If you have any other questions about AC repair or need emergency repairs, contact us today. We’re always here to help.